Jan - 23 | By: Oregon Film | one comment. 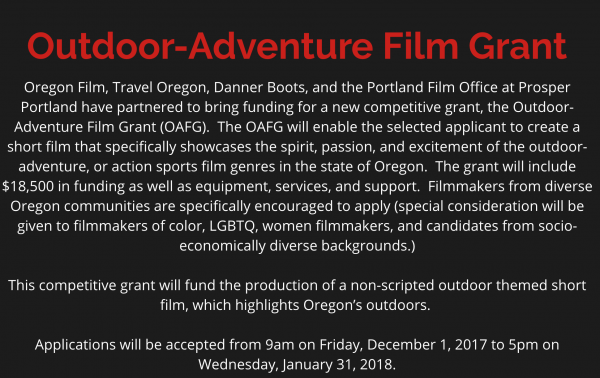 Don’t forget to get your application in for the $18,500 Outdoor Adventure Film Grant, plus supporting in-kind donations from Koerner Camera, Mission Control and Digital One, now open at the #OregonMade Creative Foundation. Submissions are due on January 31 – Time is Running Out! I really would love to work with a film crew out there!